It’s October, which means it’s officially PUMPKIN MONTH!!! If you know me, you know that pumpkin is possibly my favorite flavor ever. Consuming pumpkin treats in the fall is the absolute best way I could experience the season, I just love it so much. I am squirming-in-my-seat excited about all of the fall recipes coming up, but especially about this pumpkin bread with chai crumble. 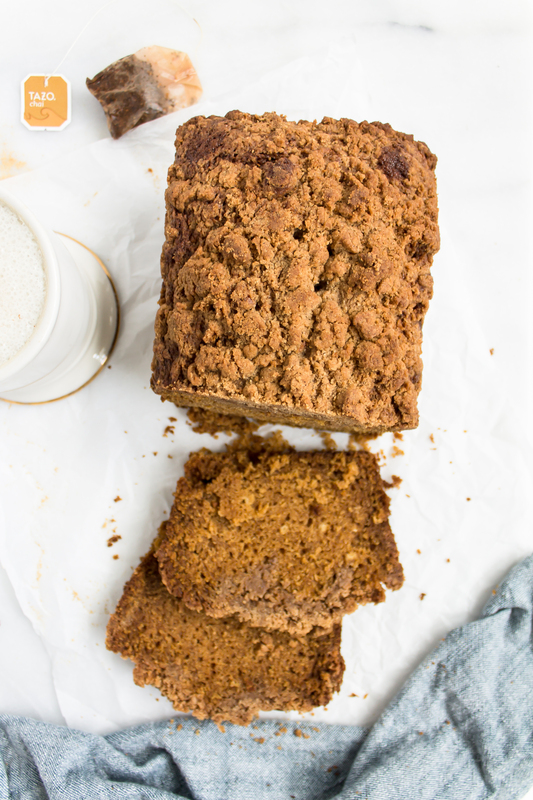 Imagine a loaf of pumpkin bread, a chai latte, and a thick-crumbed coffee cake got together. 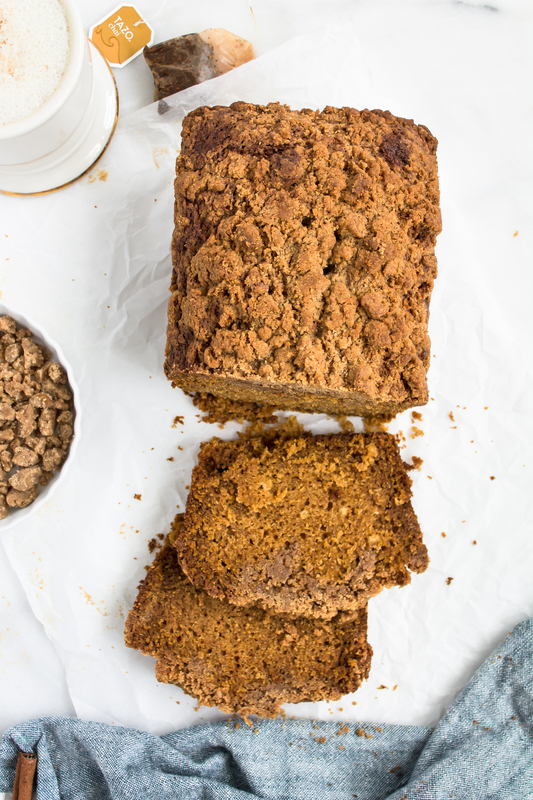 This amazing pumpkin bread with chai crumble is the outcome. I loved pumpkin flavored foods before the pumpkin spiced craze ramped up in coffee shops and grocery stores. While fall is the best time to curl up with a warm slice of pumpkin bread in a cozy sweater, we don’t stop making it when the season changes. 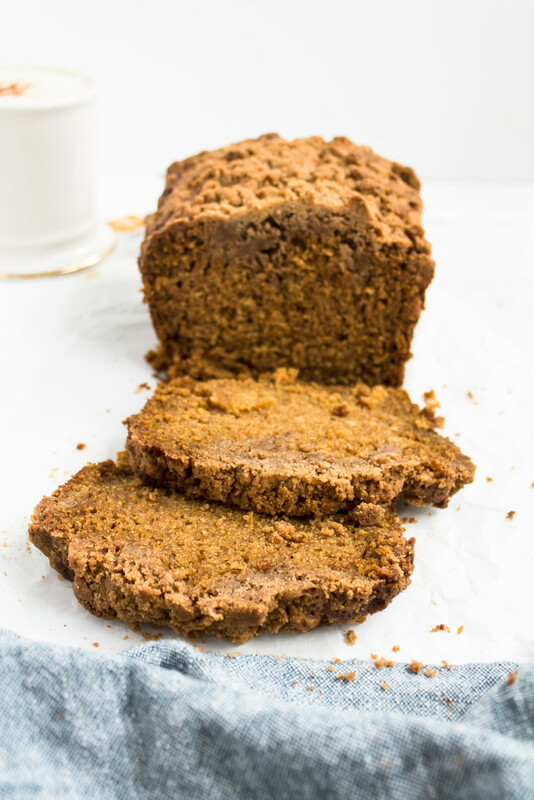 Pumpkin bread is a year-round brunch staple in our family, which is why I’m surprised I didn’t think to change it up until now! Pumpkin bread with chai crumble has all of the amazing flavors and moist crumb of pumpkin bread, with the added fun of a crisp, spiced crumb topping that is perfect for the season (or past the season, if you’re in my family). It is wonderfully addicting, but also rich enough that you don’t need more than a slice to feel satisfied. The best part of the bread is where the chai crumble meets and settles into the domed top of the pumpkin bread, between the crisp outside layer and the full force of the pumpkin bread. 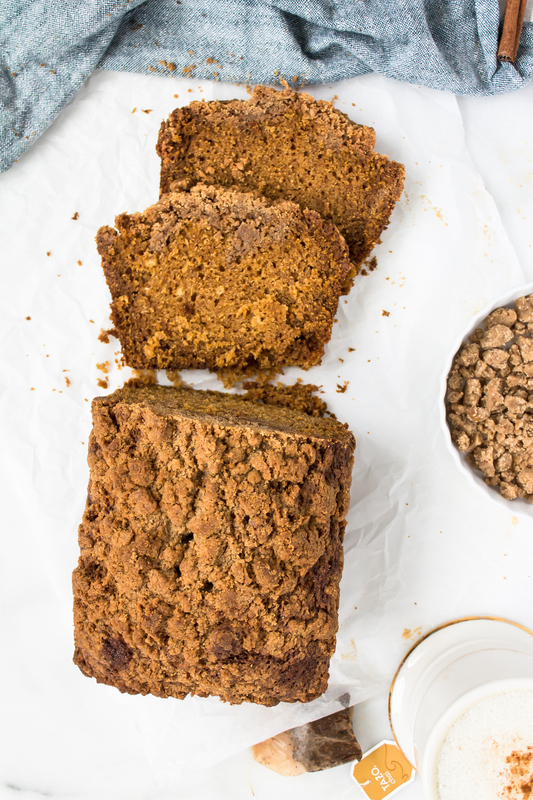 The chai and pumpkin spices join for a fall spice party in your mouth. 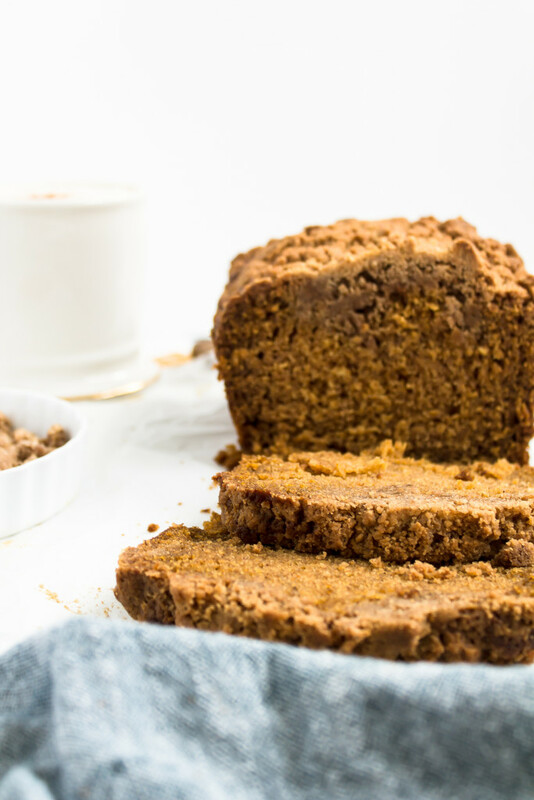 The thick, soft slices of pumpkin bread with spicy chai topping pair wonderfully with a cup of hot coffee, or tea – extra points for a chai latte – for breakfast on the go, brunch with friends, or a midday snack in the office. 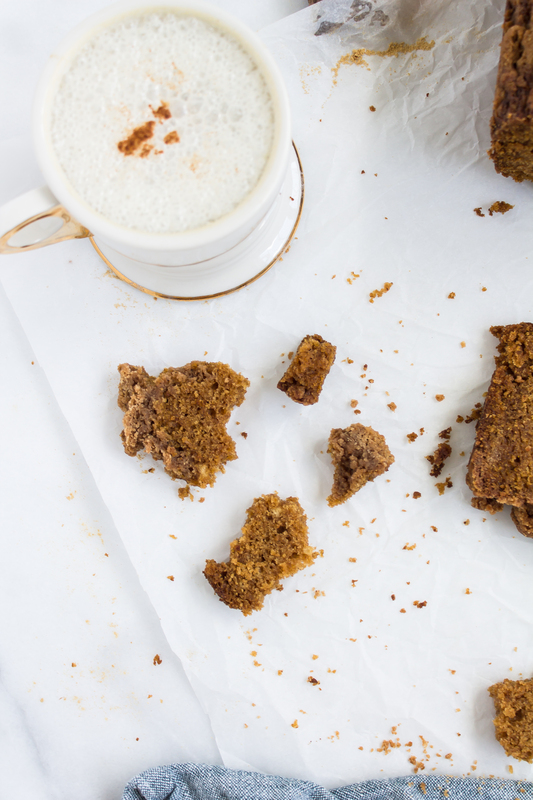 I can’t think of anything that would make my workday better than a slow pumpkin bread snack break. I mention in the instructions to wait until the loaf is completely cool to slice it, but does anyone actually follow that guideline? I’m always so impatient by the time the loaves come out that I can’t wait another minute to try a bite. I know that it slices more easily when it has cooled, but waiting for that has to be the hardest part! I know can’t be the only one in that boat. Where are my fellow warm bread slicers? 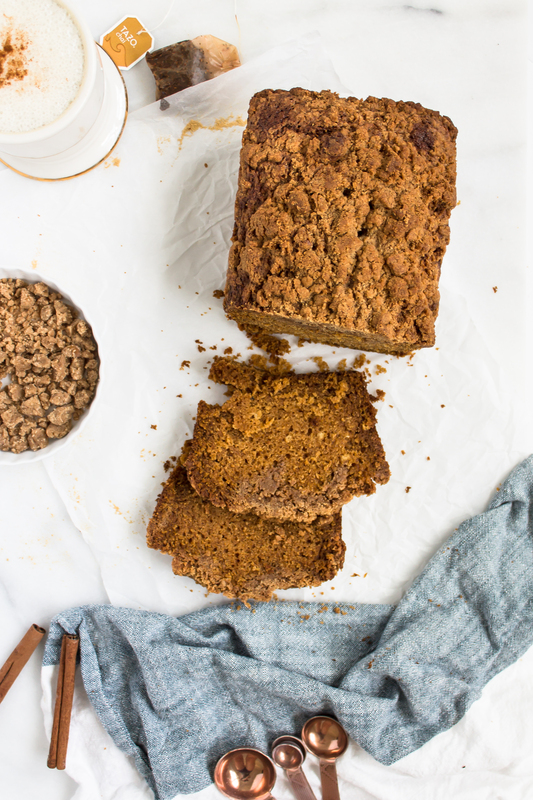 Pumpkin bread with chai crumble is my favorite fall treat to date! 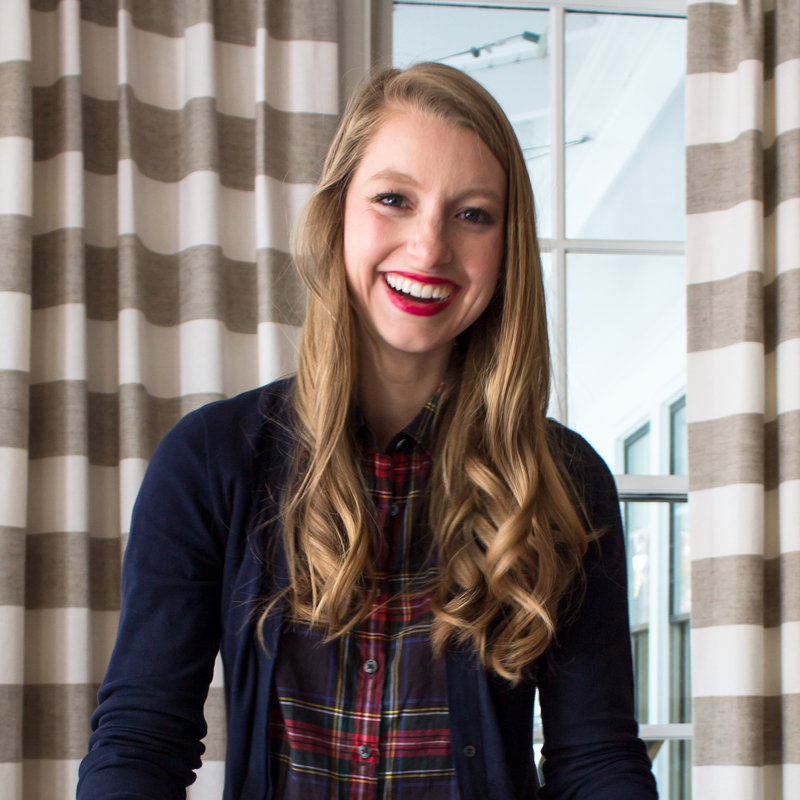 I’m so excited for you to make (and taste) some too! 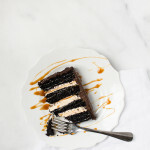 If you do make this recipe, tag me on Instagram (@hopehwoodhouse) so I can see your wonderful creations! In a medium bowl, combine all of the ingredients except the butter. 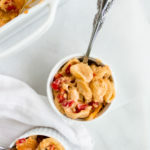 Pour in the butter and use your hands to bring the ingredients together until all of the dry ingredients are moist and you can form a ball with the mixture. Break the topping into small pieces and set aside. 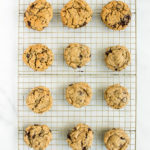 Preheat the oven to 350 degrees F. Coat two 9×5-inch loaf pans with non-stick cooking spray or butter and dust with flour to coat the entire pan. 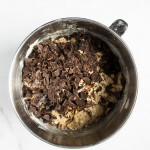 In a medium bowl, whisk together the flour, cinnamon, cardamom, nutmeg, allspice, ginger, baking soda, and salt. In another large bowl, whisk together the pumpkin puree and oil (or butter) until combined. Add the sugar and mix again to fully incorporate it into the pumpkin. Whisk the eggs and vanilla into the mixture. Add the water and whisk until all of the ingredients are fully combined. 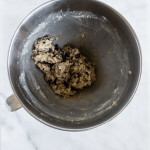 With a rubber spatula, fold the dry ingredients into the wet ingredients, being careful not to overmix the batter. Pour the batter evenly into the prepared pans and smooth the tops with a spatula. Sprinkle the chai crumble on top of both breads. It should fully cover the batter, with more to add on top of that first layer. 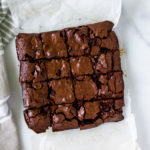 Bake for 45 minutes, then rotate the pans and bake for another 30 to 45 minutes, or until a wooden skewer inserted into the center of the bread comes out clean. The topping should be entirely cooked with no soft spots. Let the breads cool in their pans on a wire rack for about 15 minutes before removing them from their pans. Let the loaves cool completely before slicing and serving (if you have the patience ;)). If you aren’t serving them right away, or have leftover pumpkin loaf, wrap the loaves in plastic wrap and store them at room temperature. They will last for 3 days, unless you are in our house. 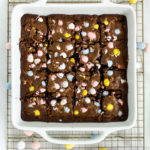 These also freeze well and are perfect to make ahead for brunches or hostess gifts. To freeze, wrap the loaves in plastic wrap then again in aluminum foil or wax paper. If you use wax paper you may need to tape the ends down. Pumpkin bread adapted from my family’s favorite recipe in Baked: New Frontiers in Baking.